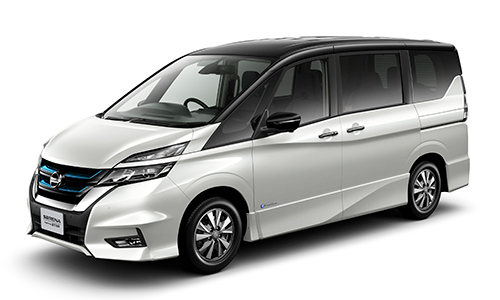 Nissan’s commitment to electric vehicle and autonomous driving technology will be on full display at this year’s Tokyo Motor Show when the company debuts the all new Serena e-POWER minivan equipped with Nissan’s inventive e-POWER electric drive system. Nissan revealed this automotive industry-breaking technology, the e-POWER system, in November 2016 with the release of the Nissan Note e-POWER, making the Serena e-POWER minivan the second vehicle in Nissan’s collection equipped with the tech. “It’s another step forward in the company’s drive to introduce more electrified vehicles under Nissan Intelligent Power, one of the aspects of Nissan Intelligent Mobility, the company’s approach for changing how cars are powered, driven and integrated into society,” Nissan states. The Serena e-POWER is also available with Nissan’s most advanced technology, ProPILOT assist, which was recently awarded the title of “Best Technology” of Texas by the Texas Auto Writers Association (TAWA). “ProPILOT Assist is the foundation for the autonomous vehicles of the future, helping drivers maintain lane control, navigate stop-and-go traffic, maintain a set vehicle speed and maintain a set distance to the vehicle ahead—all with a simple two-button operation,” according to Nissan. Custom LED tail lights, aluminum wheels, and a blue-accented badge on the grille are signature elements on the exterior of the new Serena e-POWER.